VeloBind Binding is most commonly used in professional office environments where secure bound presentations are a necessity. VeloBind Strips literally locks pages into place and provides a sleek, slim bound document that lays flat for easy filing and mailing capability. 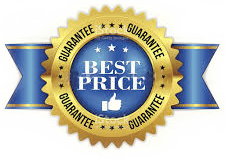 With our Guaranteed Lowest Pricing plus the additional savings you'll enjoy with our quantity pricing offers nobody saves you more money on GBC 4 Pin Hot Knife VeloBind Binding Strips than Laminator.com.